It’s an aim of this site that we’ll review the leading mobile phone recycling companies. Now, it’s time to look at one of the better-known names in the “cash for your old mobile” world, Mazuma Mobile. Chances are, you’ve seen their advertising – the little orange chappy bouncing around your TV screen, pictured here on the left. 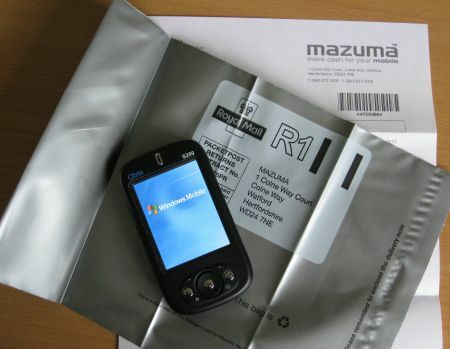 Mazuma appears to have a good name in the phone recycling industry, so we’re hopeful our little test goes well. 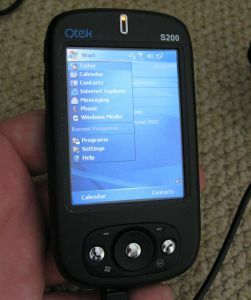 For this test, we selected an old trusty Windows Mobile phone that we used to use many years back, the Qtek S200. This was, in its day, a top-of-the-range Windows Mobile touchscreen phone costing several hundred pounds. 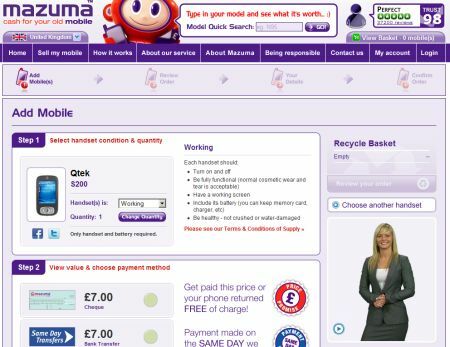 We checked this model in our Phone Recyclers Comparison Tool, to see that we could get £7 with Mazuma, just pipping Envirofone. We went on to the Mazuma website at www.mazumamobile.com, and entered our details. It seems we could get £7 cash, or £7.70 in Argos vouchers. 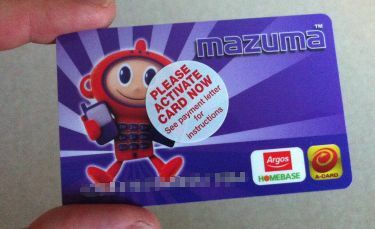 Mazuma can send a cheque, make a BACS transfer into your bank account, or give you Argos vouchers. Keen to make an extra 10%, we opted for the Argos option. We were then required to enter the phone’s serial number, known as the IMEI. Once we’d entered our details, we next had to create a user account, supplying name, address, phone number and date of birth. The next step is to send off the phone. You have two options – get Mazuma to send you a Sales Pack, which includes a Freepost envelope. They aim to do this within 24 hours. The alternative is to print out your own pack, which is obviously a faster way of doing things..
Impressively, next day we got an email confirmation that the phone has been received and that payment had been authorised. Two days later, our Argos voucher appeared. The voucher takes the form of a credit card that is pre-loaded with the value offered by Mazuma. Before you can use the voucher, you need to call an 0845 number to get it activated. It’s an automated process and took us less than a minute. You need the voucher number, and a special activation code that’s emailed out. A smooth and very fast transaction. Nice touch is the first class post envelope for fast free return, plus the option to get a better deal by opting for an Argos voucher as opposed to cash.